The city of Prague is a great example of a foodie getaway with food tours, hip hop restaurants and cheap beers at an affordable price. For example, the price of a beer is around €1.50. Thanks to the Taste of Prague project and many websites advertising the best food available in Prague, this city is going through a revitalisation for cocktail lovers, foodies, beer enthusiasts and Instagram fanatics. There is something for everyone in Prague, the junk food lover, the vegan and the food photographer. When it comes to eating a healthy breakfast to set you up for the day, a cafe called Cacao is a must try. It has many options from acai bowls, to juices, to avocado toast, mouth watering homemade bread and their popular dairy free latte therefore it is a great place for vegans and vegetarians. Eska is a restaurant with a baker that brings together the traditional and the modern – on the plate and even the interior. According to the restaurant’s website, “We bring you food made of Czech ingredients with the daring conception of the head chef Martin Štangl. Enjoy breakfast, a working lunch or an intimate evening meal of several courses. When you leave we can offer you fire-baked bread and a take-away coffee. At Eska it’s pulsating with life the whole day”. Eska takes its inspiration from Nordic cuisine. The restaurant features vegetables hanging from the ceiling as decorations and is a Michelin star restaurant without the price tag. Prague is possibly most popular for their Christmas markets in Old Town Square. These markets are famous for their juicy hotdogs, mulled wine, chicken skewers with Prague ham, sweet pastries, craft Czech beers and gingerbread. A few must tries are halušky, a Czech dish combining cabbage, potatoes dumplings, and Prague ham, trdelník which is dough covered in cinnamon, sugar, and nuts, served warm, and fresh spiralled potato chips. 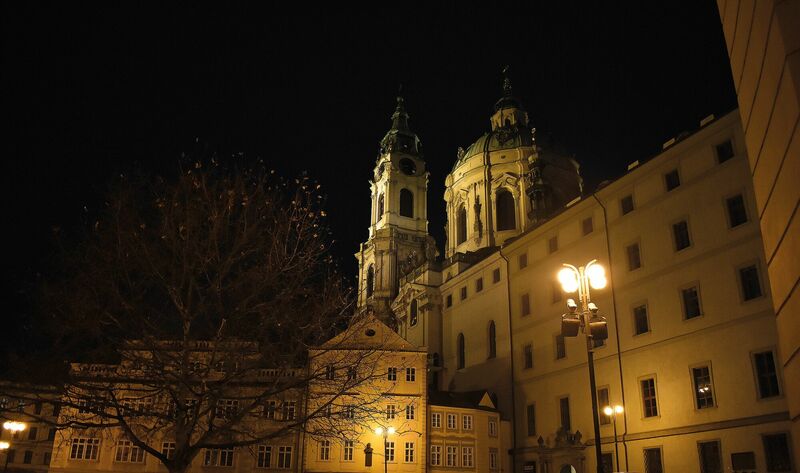 However, it’s not just Christmas markets that Prague has to offer. The locals visit the Farmers Market on the riverbank which is open every Saturday. The Náplavka market has a good variety of vendors selling premium baked goods, jams and spreads, meat, fish, cheese, and at least a dozen places serving up all kinds of food you can enjoy on the spot. The largest and best-known outdoor marketplace in Prague’s Holešovice district, it is sometimes simply referred to as “Prague market”. There are a handful of stands selling Vietnamese food, kebabs and Czech fast food, and the large hall towards the rear of the market has perhaps the largest selection of produce in the entire city. Sapa is another great example which is situated in the south suburbs of Prague and it is like a small Vietnamese city with about a dozen restaurants and bistros at Sapa, serving up Vietnamese favourites like pho soup and bún chả, which is a pork and noodle dish. It doesn’t give you much of a Czech experience however Vietnamese food plays a massive part in Prague. In terms of the traditional foods that people must try in Prague, Koláče is very popular. The Czech kolač is a pastry filled with poppy seeds, fruit jams, nuts or sweet cheese. Most Czech families have their own secret koláč recipes which have been passed down through the generations and can be found in most bakeries in the city. Prague is one of the best cities in Europe especially because of its affordable cuisine and markets that are always nearby. One of the best times to visit Prague for food fanatics is Christmas, however, no matter what the time of year, there is something for everyone in Prague.